Eight million tonnes of plastic enters the oceans every year. We all need to help reduce or eliminate single use plastic bags as they are one of the biggest contributors to the massive amount of plastic pollution on our planet. 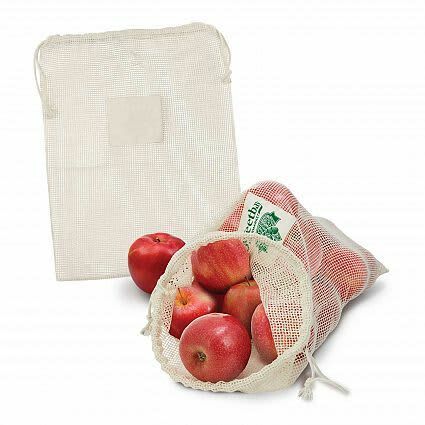 It has to change and fast and by using these type of reusable bags it can change. 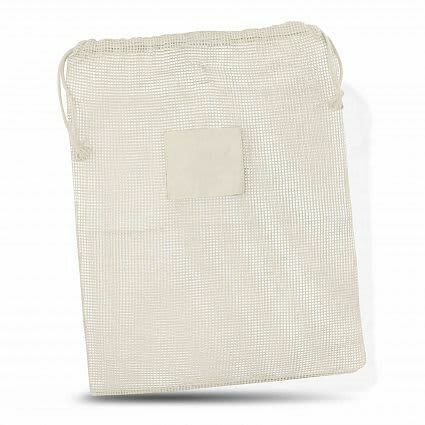 This unbleached cotton mesh produce bag can be washed and reused many times. It is designed for transporting fruit and vegetables while allowing them to “breathe” so they arrive home in the best possible condition. H 360mm x W 280mm..